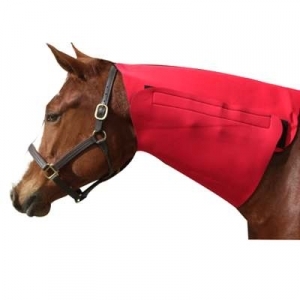 We have an extensive variety of Horse Neck Sweats on sale now at economical pricing. Rest assured you will be given only superior value products here at our online Horse Tack Store. This useful yearling neck sweat is constructed of closed cell rubber neoprene for maximum efficiency and features an outer nylon shell. 1/8'' Thick. Velcro closure. Treat your horse with this Luxurious Horse Neck Sweat and go for a ride today.